This book is your guide through the seemingly complex world of Bitcoin, providing the knowledge you need to participate in the internet of money. Whether you're building the next killer app, investing in a startup, or simply curious about the technology, this revised and expanded second edition provides essential detail to get you started. It tells you everything you need to know about joining one of the most exciting revolutions since the invention of the web: digital money. Bitcoin is the first successful digital currency. It's instant, global, frictionless and it is changing money forever. Bitcoin is still in its infancy, and yet it has already spawned an economy valued at nearly $2 billion that is growing exponentially. Established companies like PayPal are considering adding bitcoin as a payment method, and investors are funding a flurry of new startups aiming to stake claims in a new industry that may rival the Internet in terms of scale and impact on daily life. 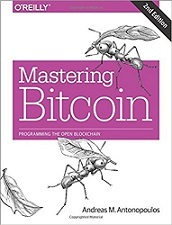 If you're interested in learning more about the technical operation of bitcoin, or if you're building the next great bitcoin killer app or business, you will find this book essential reading. From the basic use of a bitcoin wallet to buy a cup of coffee, to running a bitcoin marketplace with hundreds of thousands of transactions, or collaboratively building new financial innovations that will transform our understanding of currency and credit, this book will help you engineer money. You're about to unlock the API to a new economy. This book is your key. This book is intended to be used as a reference book for technical professionals, as a self-study guide for bitcoin entrepreneurs, and as a textbook for university courses on bitcoin and digital currencies. Andreas M. Antonopoulos is a passionate technologist, who is well-versed in many technical subjects. He is a serial tech-entrepreneur, having launched businesses in London, New York, and California. He has earned degrees in Computer Science and Data Communications and Distributed Systems from UCL. With experience ranging from hardware and electronics to high level business and financial systems technology consulting and years as CTO/CIO/CSO in many companies - he combines authority and deep knowledge with an ability to make complex subjects easy to understand. More than 200 of his articles on security, cloud computing and data centers have been published in print and syndicated worldwide. His expertise includes Bitcoin, crypto-currencies, Information Security, Cryptography, Cloud Computing, Data Centers, Linux, Open Source and robotics software development. He also has been CISSP certified for 12 years.